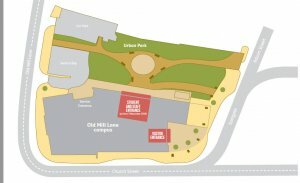 All staff and students should enter the Old Mill Lane campus using the new Urban Park entrance. The Church Street entrance is for visitors only. The Old Mill Lane campus serves as the main college building and opened in 2011. All students are encouraged to make use of the resources in the Learning Curve where you can access many types of learning materials, including books, DVDs, CDs, e-book readers, newspapers and journals, computers and netbooks. When you are not studying you can take advantage of a variety of catering facilities on-site, the Zest Refectory, Cookie Crumbs and Crumbs Café being popular options for snacks and lunch. 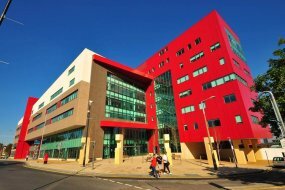 The Health and Wellbeing Centre which is open five days per week, is staffed by NHS nurses alongside a Health and Wellbeing team who deliver health promotion events and initiatives. The Students’ Union is also based at Old Mill Lane and put on events throughout the year.